There are currently six or seven thousand refugees in Ukraine seeking refugee status. Hurshyda has been in Ukraine for four years, and living in a temporary residence centre in Mukachevo for over a year. “I’ve received refugee status and additional protection. Not everyone in Ukraine knows about such a document.” She is lucky, as not everyone can obtain refugee status or even a space in a residence centre. Currently “there are two such centers. But the number of rooms is limited.” Despite this, Falka finds herself conflicted about her situation. “Sometimes, I want to leave and not come back here. On the other hand, I understand that I can’t live on the streets.” Hurshyda is also unhappy about the management of the residence centre. “If I want to go somewhere, I have to leave a note with all the details and contact information. Even our relatives cannot come to us. Only two to three hour visits are possible. We have to write an application to obtain such permission. We have to practically beg them. We’re not hostages, we’re normal people.” Although the centre provides food rations and a place to sleep, the state funded institution does not give out clothes or toiletries.The United Nations has confirmed the centre’s inadequacy and stated that not all staff members “are qualified” and experience a high staff turnover, as “people don’t always understand the peculiarities of the work”. However, it is not only the staff that are not ready for the work but “the population of Mukachevo does not understand us, refugees.” Hurshyda tells us, “we went for a walk and a man passing by and asked “Do you want a banana?” I thought he wanted to give a banana to our children. But he said: “Monkey! I’m talking to you.” And he threw it into my daughter’s face.”Ukraine is a popular transit point for many migrants from Asia and the Middle East who are trying to get to Europe. At least seven people have been killed in a helicopter crash in a remote part of eastern Slovakia. Authorities said the craft had taken off from Ukraine and was being used by people smugglers to illegally enter the EU. The Border guards of Mukachevo Detachment have apprehended 655 irregular migrants during this year. This was reported by the head of the Mukachevo Border Detachment Sergey Melnyk at a joint press-conference of the directors of the Border Departmenta and Customs in the Transcarpathian region. According to his words, the flow of illegal migrants through the border of Ukraine has been increased in ten times. In the course of the previous year, in total 69 illegal migrants were detained by the border guards. At the same time, the head of Chop Border Detachment Ivan Chaplinskyui marked out, that the flow of migrants from territory of Ukraine to the EU does not constitute a particular risk for the neighboring countries. The staff of the BS “Vilok” (Mukachevo Detachment) detained 11 persons from Afghanistan 700 m before the state border within joint border operations […]. Now, the detainees are detained in the Temporary Detention Centre. The arrest of the 11 illegal migrants was conducted in close cooperation with Hungarian Border Police, which assisted the Ukrainian border guards by providing information from a stationary thermal imager. One of the biggest groups of irregular migrants ever was apprehended in Transcarpathia by the border guards of BS «Vilok» of the Mukachevo detachment. The border guards arrested the group 150 meter before the state border to Hungary. In total there were 22 persons, out of them four women and three children, including a baby. The arrested persons reported that they are citizens of Afghanistan. However, they hadn’t any documents to prove it. Border guards checked the surrounding territory to catch possibly involved persons in this tried border crossing. It will be recalled, that the staff of State Border Guard Service in close cooperation with MOI, SSU, SMS, and border agencies of European Union countries are operating in the joint operation «Border-2015». The goal of the operation is to exposure irregular transportation channels within the entire territory of Ukraine. The joint operation Border 2015 has been launched under the coordination of the State Border Guard Service of Ukraine, in close cooperation with other law enforcement agencies of the state, border agencies of the European Union.The joint operation of border agencies of Ukraine and the EU has the status of national, long-term and is aimed at combating illegal migration and human trafficking. The result of the operation should be a reduction in illegal activities related to the organization of smuggling channels of illegal migrants and improvement of interaction at the interdepartmental, interagency and international levels in combating illegal migration. The migrants are protesting against the improper holding conditions at the Migrants and Stateless Persons Accommodation Centre in the town of Zhuravuchi, Lutsk region. According to information of ZAXID.NET, in the morning on April 16, 2015 all foreigners refused to take breakfast and then dinner in order to attract attention of the Direction of the establishment to bad conditions of nourishment and holding in the camp. As the source informed, on Monday, April 13, two men effected the attempt to escape from the camp in Zhuravychi, the next day they were detained and returned by the law enforcement agents. After this case, the migrants have started to express their dissatisfaction with the improper holding developing into obvious protest. The press-secretary of State Migration Service of Ukraine Serhiy Hunko did not deny the fact that the migrants intended to attract direction’s attention to certain problems, however he convinced that there were no any revolt and migrants did not refused from food. “They are communicated, now the situation is quite here. Yes, they are not satisfied with the nourishment, but I can assure you that conditions provided are in accordance with the Ukrainian legislation and Decree of the Cabinet of Ministers. They get food at the expense of the state budget neither worse nor better than, so to say, Ukrainian army. The same is concerned the holding conditions.“, – press-secretary of SMS of Ukraine explained. It will be recalled that in 2012 Human Rights Organization Amnesty International paid attention to the facts of cruel treatment of the refugees at Temporary Holding Facility in Zhuravychi. Then, due to the information of the representatives of organization, the armed guard attacked the foreigners, who on January 6, 2012 went on hunger strike in protest against their unlawful holding. Recently, 70 or so refugees in Latoritsa refugee camp in Mukachevo (Western Ukraine) went on hunger strike, they protested against the conditions under which they are held and most notably against their malnutrition. 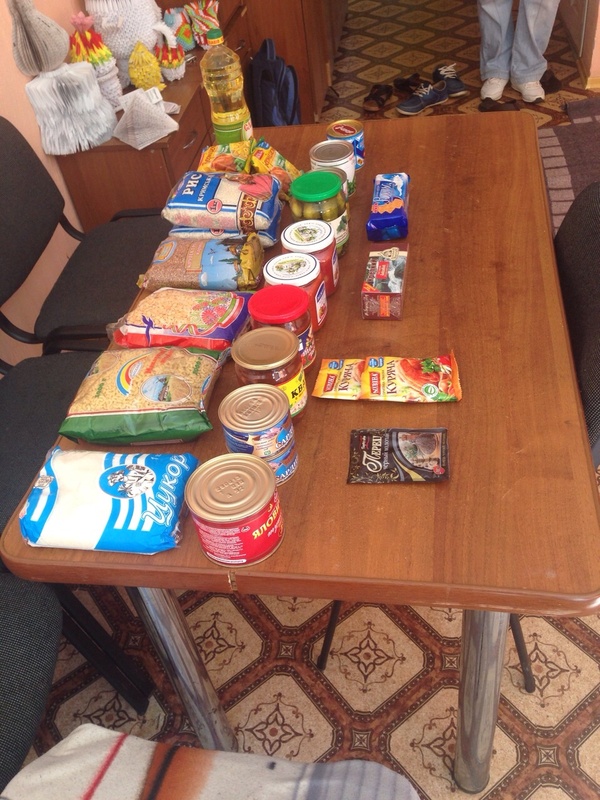 The inhabitants of the camp entirely depend on the support they receive from the camp administration: a food package in the value of UAH 210 (about Euro 13) for two weeks. According to Ukrainian law, recognized refugees get a one-time support of UAH 17 (approximately Euro 1) as starting grant. The alternative would be employment but because no Ukrainian language classes are provided it is not surprising that they cannot find work. Most of the 70 residents in the camp (about 20 single men, the others members of families) have a so-called “dovidka”, a residence permit for people during an on-going asylum procedure, which has to be prolonged every 30 days. However, it was reported to BMPU that sometimes the prolongation of the “dovidka” is delayed for longer periods of time due to ineffective bureaucracy. This has various serious effects. First, people fear controls and arrests by the local police and therefore hardly ever leave the camp. Second, without a valid ”dovidka” they are not handed out the food parcels. And third, a “dovidka” is the precondition for accessing to the official labor market but in reality no one has a job anyway, including the ones who have already received a status. Apart from these meager food packages asylum seekers receive no other benefits. In case they require any other items, like tooth brush or a bus ticket to even attend their court hearing they are compelled to sell goods from their packages. Also the medical support has been criticized as woefully inadequate. As was reported to BMPU, a nurse who visits the camp twice per week hands out nearly always the same tablets. But if the residents of the camp should go to the local hospital because of more serious health problems not only are there communication problems (the doctors do not speak English) but also are sometimes confronted with racist prejudices and attitudes. Even cases of racially motivated violence have been reported to the BMPU: As was reported to BMPU, two dark-skinned refugees were recently attacked at the local market and received seriously injuries. The “solution” proposed by the camp administration: ”Do not leave the camp”. Another serious problem is, that in Ukraine asylum-seekers and refugees do not have a right to accommodation which means that the residents of the camp are afraid of being kicked out, if they complain “too loud”. Furthermore, there is the structural problem that the camp administration is working for the same state body (State Migration Service) like the persons who are actually deciding on the asylum applications. Therefore the camp residents fear that complaints can have negative effects on their asylum cases. The BMPU is aware of the highly problematic financial situation Ukraine is currently facing, of the hundreds of thousands of Ukrainian IDPs the Ukrainian state must care for and the important contribution the UNHCR makes to this. However, neither should go on the expenses of the small number of international refugees for which Ukraine remains responsible under international law and which fall under the mandate of the UNHCR. It is not that there is no money for catering for international refugees. In recent years, the EU has spent millions of Euro (see the list below), though has mainly been spend on the expansion of the detention capacity and on enhancing border security. From the beginning of the 1990s, the EU has been facilitating the implementation of a comprehensive migration regime in Ukraine, not only by transferring knowledge on so-called “migration management” but also by direct financial support. For instance, in the context of the adoption of the readmission agreement between Ukraine and the EU in 2008, the EU allocated Euro 30 million for establishing new detention centres (there undocumented migrants can be detained for up to 12 months) and new so-called “Temporary Holding Facilities” (THFs) run by the State Border Guard Service of Ukraine where irregular migrants can be detained for up to 10 days. For the preparation of this immense expansion of detention capacity for irregular (transit) migrants in Ukraine, a British consulting company, ARUP, received Euro 4 million. All of this money was provided in spite of the fact that not even half of the already existing detention capacity is actually used. This capacity was also built up and operated with the financial support of the EU and in course of various IOM projects: CBMM Phase 1 and 2 – total budget Euro 7.2 million, GUMIRA – total budget Euro 2.5 million, and SIREADA – total budget Euro 2.3 million. These figures clearly demonstrate where the actual priority of Europe’s migration policy in Ukraine lies: deterrence and detention. This must be understood as a clear warning to international migrants and refugees already in Ukraine not to try to irregularly cross the borders into the neighboring EU-countries or if they fail they will be punished by being detained for 12 months in EU supported and financed detention centres. Enhanced institutional, administrative and professional capacities of government authorities to administrate socio-economic issues related to refugees and asylum seekers in each country. Refugees are assisted to integrate in the chosen country and to become self-reliant; decreased dependence on outside assistance; enhanced capacity of refugees to support their communities. Improved capacity of local NGOs in Belarus, Moldova and Ukraine to implement current and future refugee related actions. Increased tolerance towards refugees and asylum seekers; raised awareness on integration needs of refugees in Belarus, Moldova and Ukraine. On the occasion of the recent protests by the residents of the open refugee camp in Mukachevo, BMPU talked to some of the protesters. These drew a completely different picture of the actual integration perspectives. The BMPU’s visit in Mukachevo illustrated that these efforts do not show much practical results on the ground. We call on the Ukrainian authorities and on UNHCR Ukraine to do more than preparing good looking but deceptive websites, to not forget the international refugees in the more remote regions of the country, to live up to their international obligations and mandates and provide benefits and services to refugees that enable them a humane existence. 2008 – 2016: Project title: READMIT (building up/refurbishment of detention centres/THFs). Implementing partner: Ukrainian state. EU contribution: Euro 30.000.000. 2005 – 2008: Project title: CBMM Capacity Building of Migration Management – Ukraine (Phase 1 and Phase 2). Implementing partner: IOM. EU contribution: Euro 6.500.000. 2006 – 2008: Combating Trafficking in Human Beings in Ukraine and Moldova. Implementing partner: IOM. EU contribution: Euro 1.700.000. 2006 – 2013: HUREMAS – Reinforcing the SBGSU human resources management Joint EU-US project (Phase 1 and 2). Implementing partner: IOM. EU contribution: Euro 1.000.000. 2009 – 2010: Project title: GUMIRA – Technical Cooperation and Capacity Building for the Governments of Ukraine and Moldova for the Implementation of the Readmission agreements with the EU. Implementing partner: IOM. EU contribution: Euro 2.000.000 . 2011 – 2013: Project title: SERIADA (GUMIRA follow-up). Implementing partner: IOM. EU contribution: Euro 2.400.000. 2012 – 2014: Project title: SURCAP – Strengthening surveillance capacity on the ‘green’ and ‘blue’ border between Belarus and Ukraine (Phase I). Implementing partner: IOM. EU contribution: Euro 2.600.000. 2013 – 2015: MIGRECO – Strengthening migration management and cooperation on readmission in Eastern Europe. Implementing partner: IOM. EU contribution: Euro: 1.920.000. 2014 – 2016: Project title: SURCAP – Strengthening surveillance capacity on the ‘green’ and ‘blue’ border between Belarus and Ukraine (Phase II). Implementing partner: IOM and ICMPD. EU contribution: Euro 5.350.000. 2006 – 2009: Söderköping Process/The Cross-Border Cooperation. Implementing partner: UNHCR. EU contribution: Euro 2.200.000. 2009 – 2011: Project title: Local Integration of Refugees in Belarus, Moldova and Ukraine (Phase 1). Implementing partner: UNHCR. EU contribution: Euro 2.000.000. 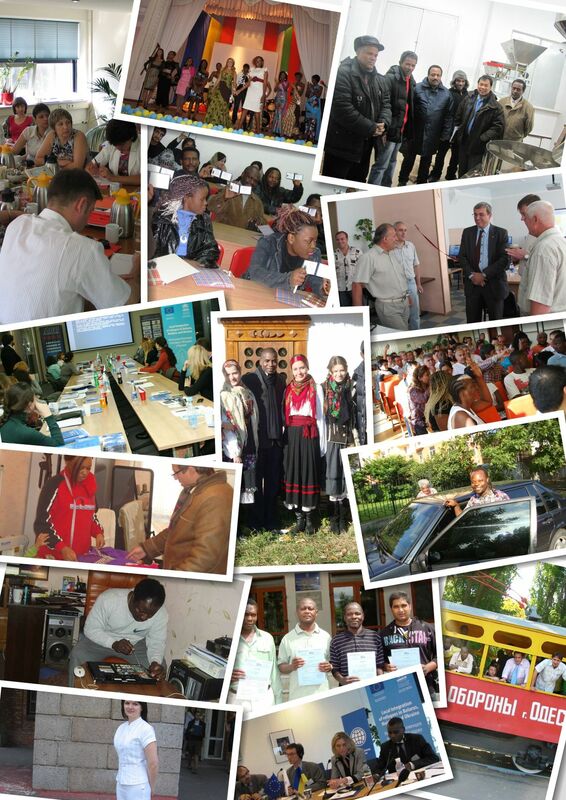 2011 – 2013: Project title: Local Integration of Refugees in Belarus, Moldova and Ukraine (Phase 2). Implementing partner: UNHCR. EU contribution: Euro 1.100.000. 2009 – 2013: Project title: Regional Protection Support Project in Belarus, Moldova and Ukraine. Implementing partner: UNHCR. EU contribution: Euro 4.500.000. 2009 – 2014: Consultancy to set up Custody Centres and Temporary Holding Facilities for Irregular Migrants in Ukraine. Implementing partner: ARUP. EU Contribution: Euro 4.000.000. 2006 – 2008: Project title: Strengthening capacities and cooperation in the identification of forged and falsified documents in Ukraine. Implementing partner: ICMPD. EU contribution: Euro 630.000. 2008 – 2010: ERIT – Capacity Building and Technical Support to Ukrainian Authorities to Effectively Respond to Irregular Transit Migration. Implementing partner: ICMPD. EU contribution: Euro 1.700.000. 2007 – 2009: Project title: Strengthening Asylum and Protection Capacity in Ukraine by Enhancing the Capacity of Governmental and Civil Society Stakeholders in a Participatory Approach and Crosssector Cooperation. Implementing partner: Danish Refugee Council. EU contribution: Euro 430.000. 2009 – 2011: Legal and Social Protection of Asylum Seeking and Refugee Children in Ukraine. Implementing partner: Danish Refugee Council. EU contribution: Euro 960.000. 2005 – 2008: Project title: The protection of refugees, asylum seekers and forced migrants. Implementing partner: ECRE. EU contribution: Euro 530.000. 2009 – 2011: Project title: Monitoring safe and dignified return and conditions of detention. Protecting the Rights of Asylum Seekers, Refugees and IDPs in Belarus, Moldova, the Russian Federation and Ukraine. Implementing partner: ECRE. EU contribution: Euro 650.000. 2006 – 2008: Project title: Enhancing Capacities in the Area of Protection and Treatment of Refugees and Asylum Seekers in Zakarpattya / Western Ukraine. Implementing partner: Caritas Austria. EU contribution: Euro 700.000. The Hungarian news-website hvg.hu published a story about how border guards detected refugees getting into cars. The 7 migrants (Syrians, Afghan, Bangladeshi, Iraqi) and the two Ukrainian smugglers were caught a little bit later. The migrants asked for asylum.